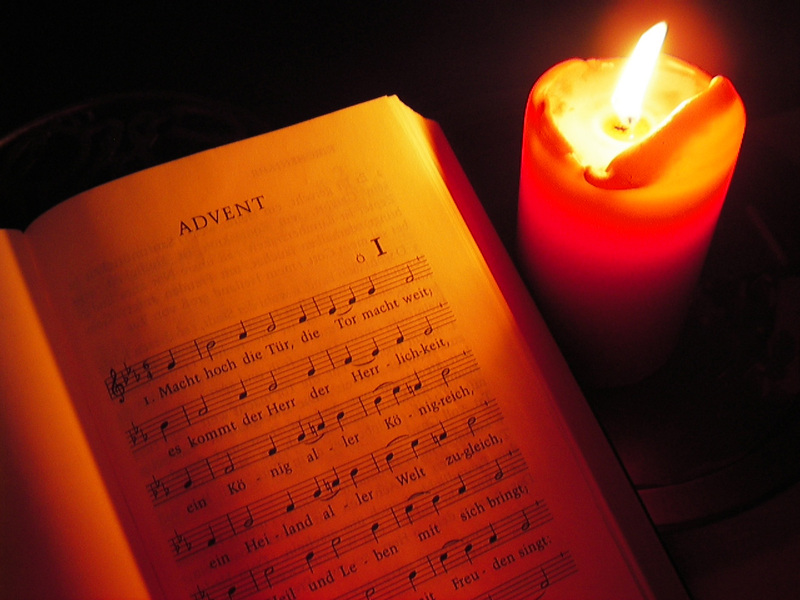 What’s on your Advent playlist? I have a few suggestions below to get us started, but feel free to chime in with your ideas about songs and links to favored versions. If these lines don’t lead you to seek out the sacred in the midst of the ordinary while pondering who you’re really preparing for, I don’t know what will. Joni Mitchell’s version is a classic, though Robert Downey, Jr. had a great cover on Ally McBeal back in the day. Yes, it’s about a lost love made more poignant by the romance we’ve built up around Christmas; but, the desire to skate away from heartbreak and sin can also be about our longing for a love marked by joy and peace. I’m partial to Sting’s version, and in this performance he’s boasting a beard for extra hipster points. OK, so the last verse obtrudes into the Christmas season, but it’s mostly about the annunciation, a reading that is very much part of the Advent season due to the Feast of the Immaculate Conception on December 8. How do we say “yes” to the Holy Spirit in Advent so that God may become incarnate in our lives? Add to the playlist in the comments below! *Puns are signs of the world’s deep need for redemption. Just a friendly Advent reminder from me to you. Your post has made me consider something new; to look into, and discover new music and lyrics to listen to during Advent. Thank you. Is it uncouth to paste a link? Particularly for early Advent , coming on the heels of Christ the King, I am partial to “The King Shall Come When Morning Dawns”. The sense of longing for final fulfillment is so strong. I have to say “O Come O Come Emmanuel” is one of my all time favorites. I know that it is an obvious choice, but I just love it. One Advent I listened to Enya’s version each morning. I am very partial to this arrangement of Rory Cooney’s Canticle of the Turning, as performed by Michael Iafrate. I hope that this embedding works! And I guess that it did not… OK, try this link instead! So many of my favorites have been shared! Many of the chants of the season are glorious too. Conditor Alme Siderum, Of the Father’s Love Begotten are two of my favorites. I also reviewed a fantastic Advent CD on my blog last month: http://margaretfelice.com/2013/11/21/three-things-im-into-for-advent/ I highly recommend Advent at Ephesus! I had some free time over the weekend, and so I put together a large (100 songs!) Advent playlist for myself, using music I already had combined with some new purchases. It’s a mix of some ancient / traditional Advent carols (like O Come O Come Emmanuel, Lo He Comes with Clouds Descending etc), and more contemporary worship music. (Probably 80% contemporary / 20% traditional). You can find it here. AnglicanPrayer, thank you very much! I’m working through your list to add to my Spotify list. What a great resource!